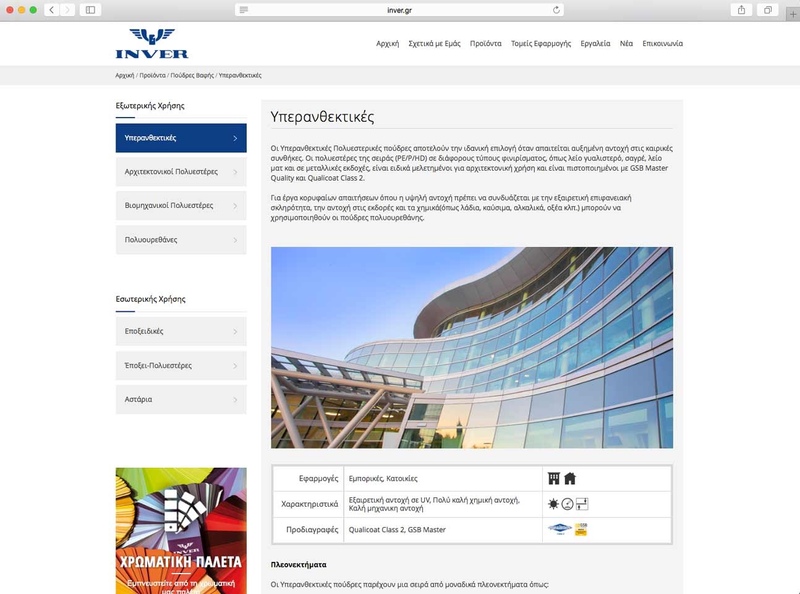 INVER is an international company and market leader in industrial coatings. INVER GROUP relies on a workforce of 600 employees and consists of a wide network of operating companies. 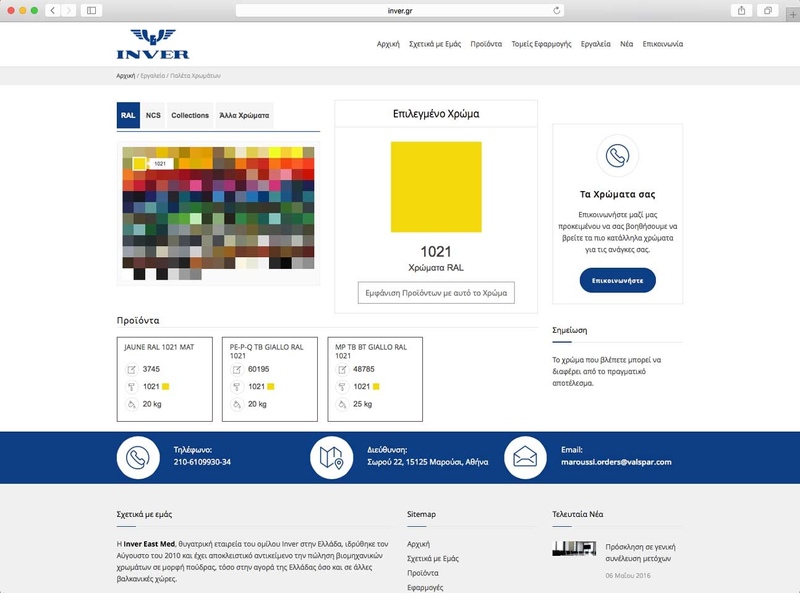 ​Inver East Med, a subsidiary of Inver group in Greece, was founded in August 2010 and is dedicated to sales of powder coating, both in Greece and other Balkan countries. Based on deep knowledge and many years of experience of our people in powder coating market, has a policy that is focused on quality, efficient customer care and technical support and having the largest range of ready products in Balkans. 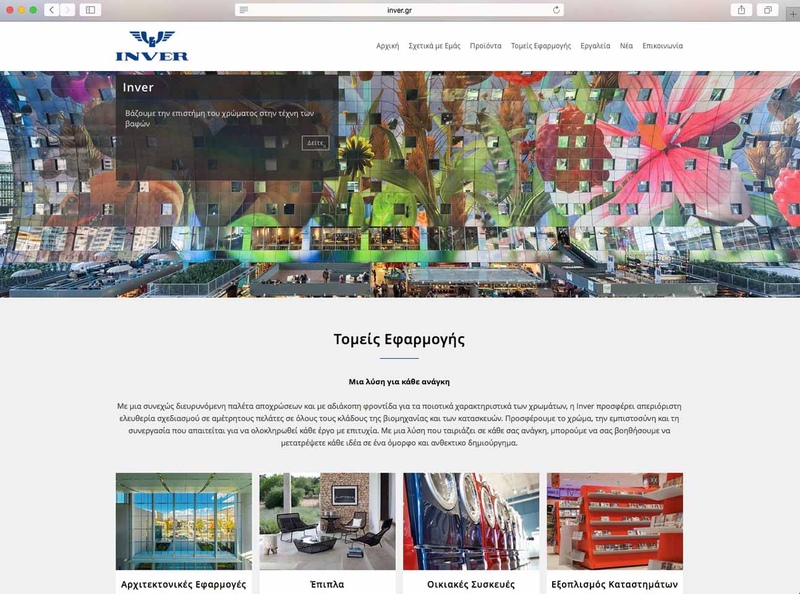 In the context of this project, our company has manufactured the website of Inver East Med company. 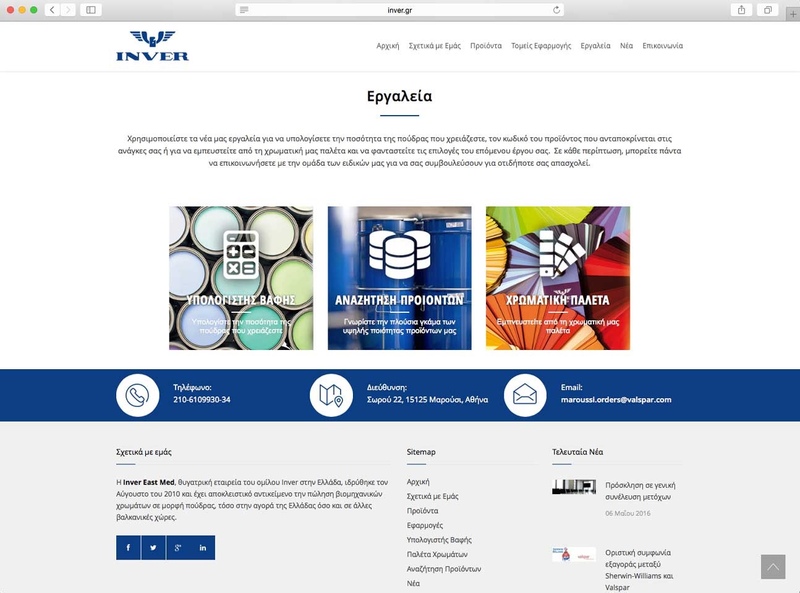 The website apart from the presentation of Inver and its products, incorporates a set of useful tools and services for the visitors. In addition, b2b customers are able to make online orders, once they login to the system with their account. Features such as “Fast Order” and a history of products purchased in previous orders, make this process even easier.